Fenrir was one of the sons conceived by the very devious Norse god known as Loki. This gigantic lupine was one of the sons fathered by Loki who was himself the son of Farbauti & Laufey. Loki also fathered Narfi & was also the mother of the eight legged mythical horse named Sleipnir. This shape shifting Norse god continuously battled with the other Norse gods. He had great plans for this monstrous wolf son and sibling brother Jormungand, a gigantic serpent. One day, his sons were to ravage and destroy all humans on earth. Fearing Loki's intentions, the other Norse gods separated the wolf from his father when he was still just a pup. The pup very quickly grew to a gigantic size, so the gods unanimously agreed to chain him up and keep him locked up until the end of time. The gods became, which must have been slightly bored and over confident in the control over the seemingly stupid beast, that they decided to begin challenging him to break free. They tried several times, each time telling the wolf that they were just testing his formidable strength. To their complete dismay, this monstrous wolf freed himself each time with such ease that he made the various bindings & chains seem but like simple paper for him to shred to smithereens. Desperate, the gods then had to enlist the help of some dwarves to create a magical ribbon called Gleipnir. This ribbon was forged by Dwarves in their underground realm known as Nidavellir. The unique ingredients for this powerful and magical ribbon consisted of the sound of a cat’s footsteps, the beard of a woman, the sinews of a bear, the roots of a mountain, the spittle of a bird and the breath of a fish. This enchanted ribbon was said to be more powerful than any iron chain in existence. 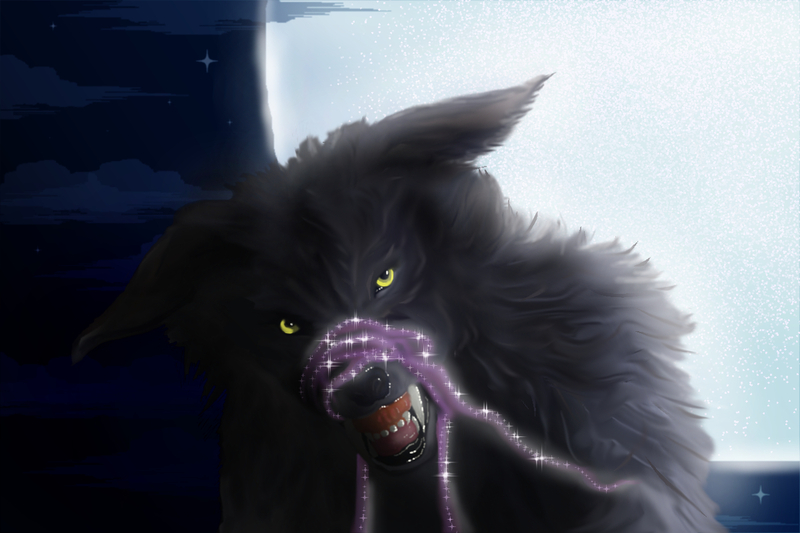 Once the oversized wolf was bound with this enchanted ribbon, it absolutely could no longer break itself free. The gods then took a cord called Gelgja, attached it to the Gleipnir and then, inserted the cord through a large rock call Gjoll. Fenris then remained bound until he could fulfill his prophecy - that he would one day be the death of Odin. In this online game, this monstrous Norse Wolf has some pretty awesome battle skills. Unchained - He can leap and stun the enemies’ hits. Seething Howl - He has a heaving howl that inspires him increased physical power. Brutalize - He pounces, inflicting substantial damage all the while remaining immune to knock-ups. Ragnarok - Because of his increasing size, he can bite and carry enemies away. The video preview below was contributed by iGamrgeekTV.